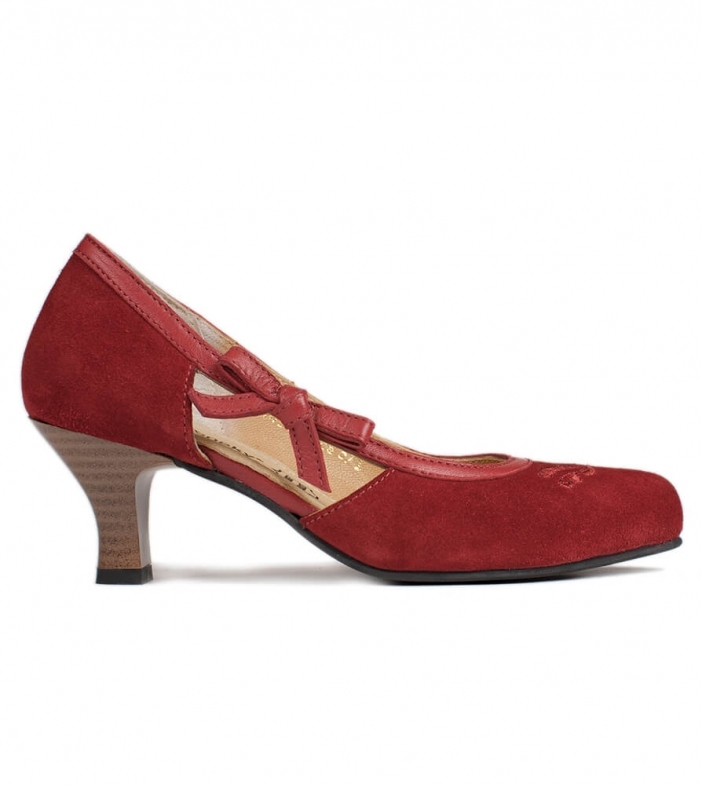 Women’s red Valeska pumps. It’s time to put your best foot forward by stepping out in these striking brown pumps. Made from durable yet soft leather, the classic women’s shoe has been customised to give it a new lease of life with the cut out sides adorned with bows. The heel is squared off to ensure that these shoes are comfortable enough to wear all day long.